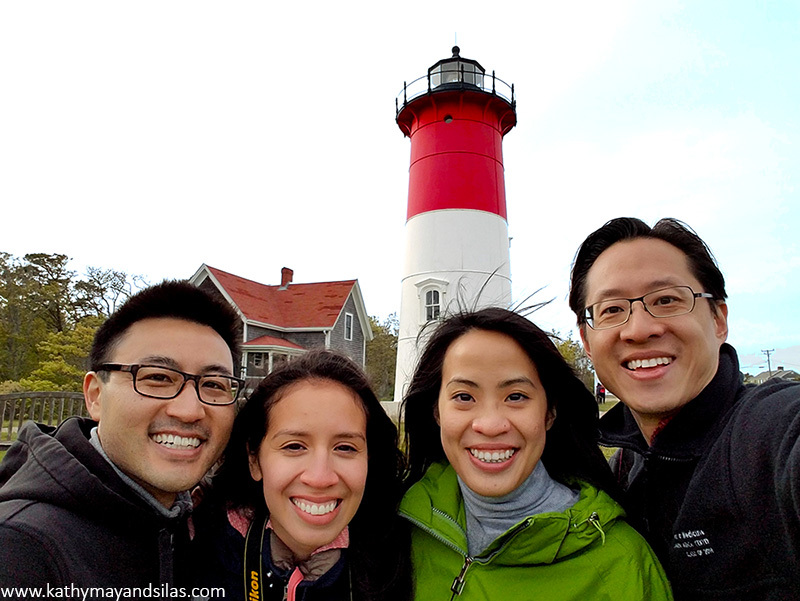 Our final stop was in the forearm of the Cape where, much to our surprise and delight, we came across a vaguely familiar red and white lighthouse! Do you recognize this national icon? Yes! 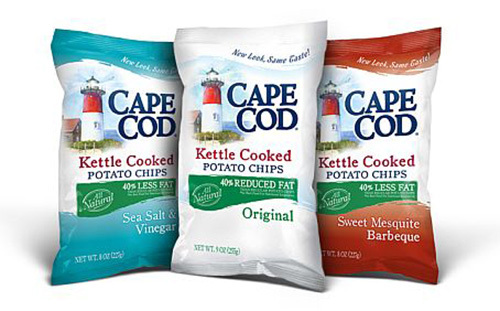 It’s the lighthouse featured on the bags of Cape Cod Potato Chips, the kettle-cooked American goodness that is made in Hyannis, right there on the Cape! If you are interested, please investigate Cape Code Potato Chip’s factory tour. We haven’t been ourselves but let us know if it’s worth a gander! We also spot the lighthouse every now and then on specialty Massachusetts license plates. 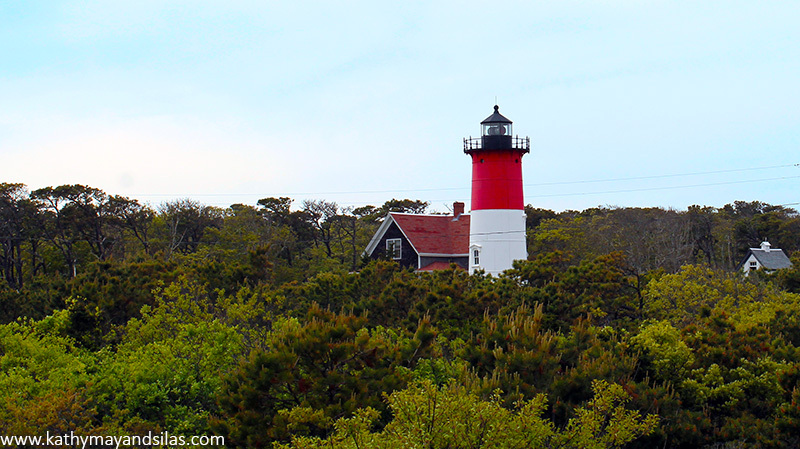 It’s called Nauset Light, and it’s one of the beautiful landmarks of the Northeast and of seafaring world in general. Since the first lighthouse, Pharos in the ancient city of Alexandria, lighthouses have provided warm lights to guide mariners through treacherous waters and acted as welcoming beacons to call travelers home. It’s no wonder that lighthouses have become a romantic symbol in our culture – a comforting brilliance in a lonely and dark world. 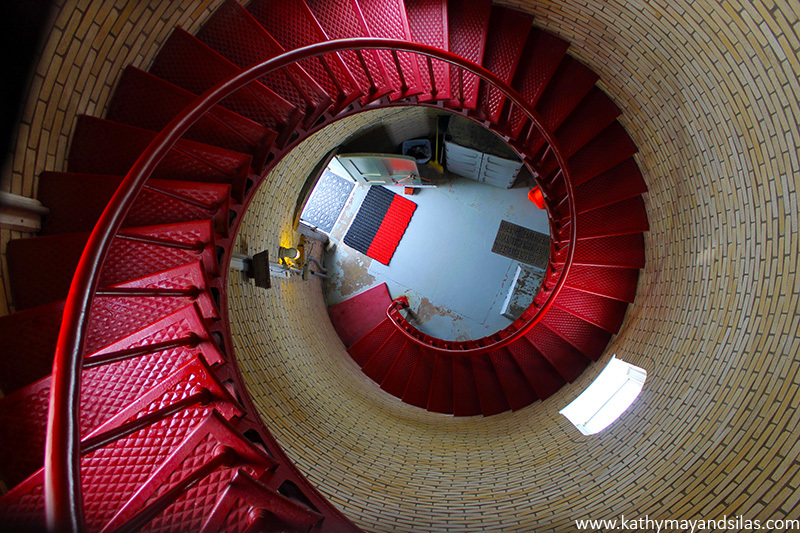 Nauset Light is actually one of a set of twins originally built in Chatham in 1877. The southern twin is still there today; the northern Nauset Light was moved to Eastham, where it replaced the beacon of the final of the Three Sisters, a bit more inland from the encroaching cliff edge. Through the years, the dangerously eroding seashore necessitated another move of Nauset Light, and in the future, another relocation will be required to prevent it from falling into the ocean. 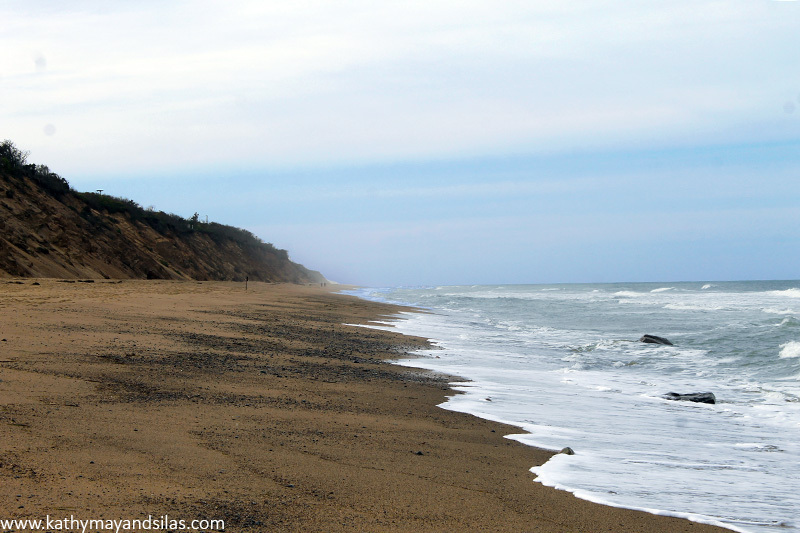 The Cape Cod coastline erodes at an astounding rate of approximately 3 to 6 feet per year, at worst 15 feet per year! 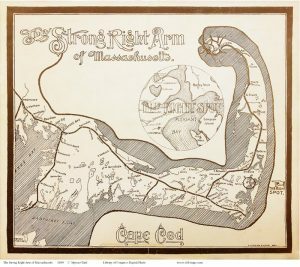 With the combination of rising sea water level and natural erosion, there will come a time where Cape Cod will be no more! By the way, the Three Sisters Lighthouses, named so because from the sea they looked like ladies in white dresses with black hats, have quite a colorful and circuitous history. You can visit them on display, well away from the shore, within walking distance of Nauset Light, also on the Cape Cod National Seashore. Every lighthouse has a “signature,” a set of characteristics so that mariners may identify land and location. 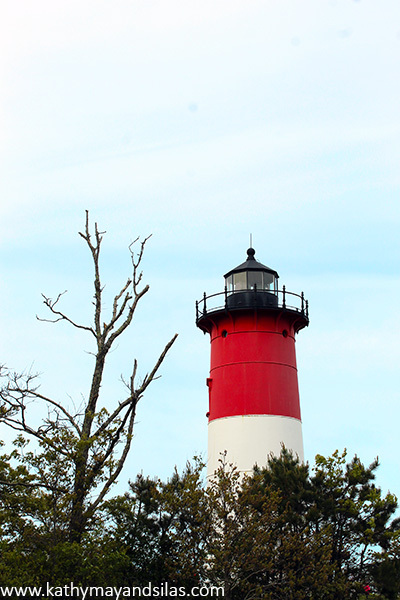 Nauset Light’s two rotating aero beacons shine alternating red and white flashes with 5 second intervals between them. In the 1940s it was painted its distinctive red and white as a daytime indicator. Being the emblem of Cape Cod potato chips makes Nauset Light memorable, but we look forward to visiting the 15 other spectacular lighthouses on Cape Cod. Are there any you recommend? Please let us know! Thanks for the interesting lesson in history and the chips looked yummy but unfortunately, not available in Canada ….. pity ! The selfie is great ……. sharp from front to back and all around !!! !